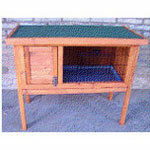 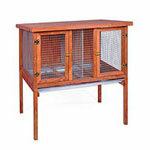 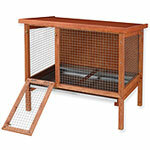 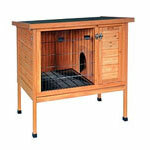 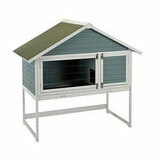 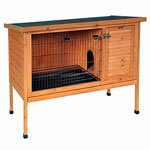 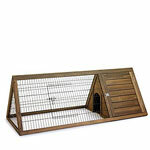 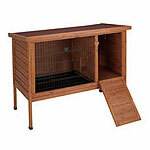 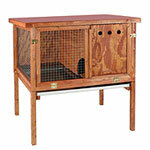 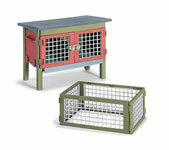 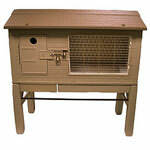 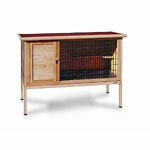 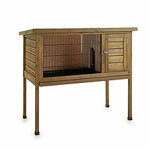 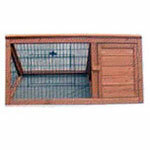 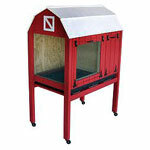 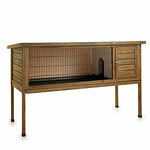 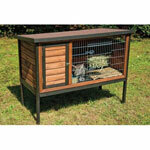 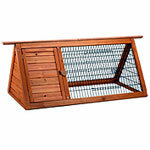 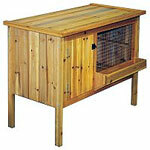 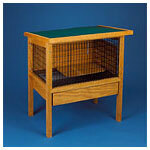 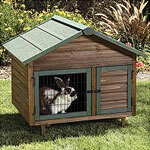 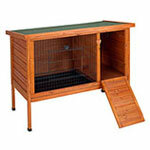 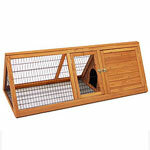 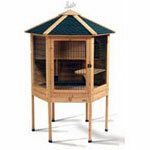 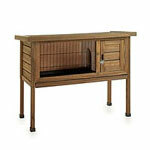 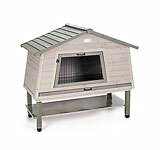 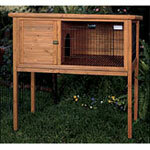 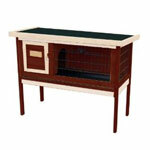 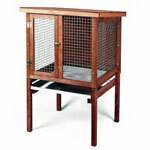 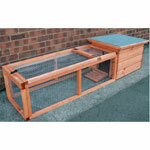 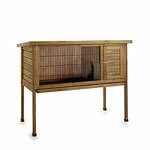 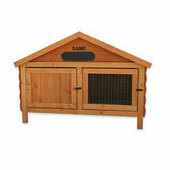 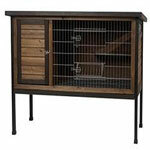 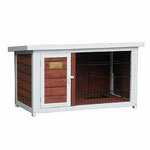 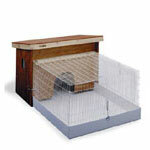 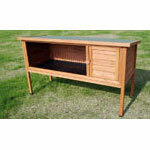 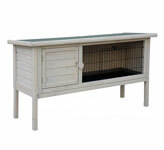 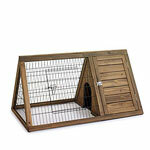 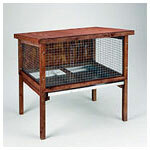 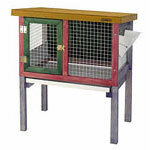 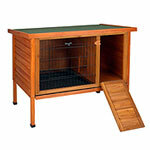 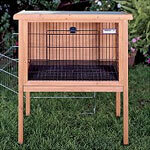 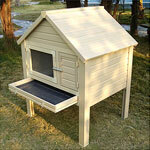 The single story, outdoor rabbit hutches are some of the most common rabbit hutches for sale. 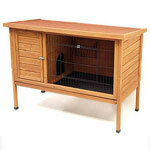 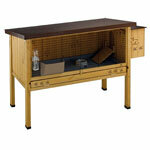 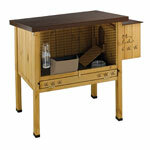 These units typically don’t take up a lot of room and are fairly easy to set up. 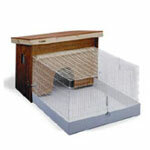 If space allows, consider one that includes a nesting box or hiding box. 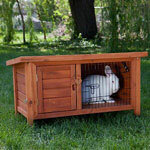 These boxes offer a rabbit a place to escape if it ever feels threatened by a predator or even another family pet. 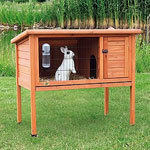 Since many of these homes are quite small in size - bunny hutches at best, you may also want to consider getting a rabbit play pen for indoor activities or a rabbit run for outdoor exercise. 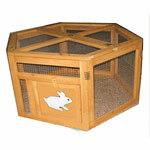 When considering a particular rabbit hutch design, be sure to read any consumer reviews that may be available. 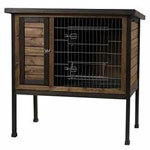 Pictures look great, but they don’t show quality construction or the little built-in conveniences provided by some hutch manufacturers. 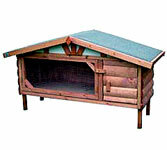 Here’s a tip: When looking at reviews, start with the negative ones and look for patterns or reoccurring comments or problems. 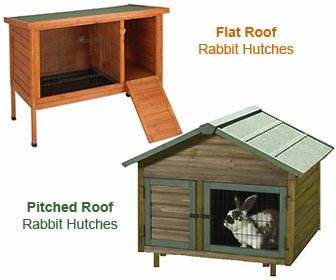 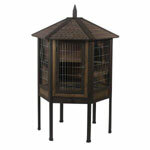 For additional information on many of the hutches, links to Amazon are shown.